Right after the news of their engagement hits the surface, each and everyone wants to catch a glimpse of their engagement rings. 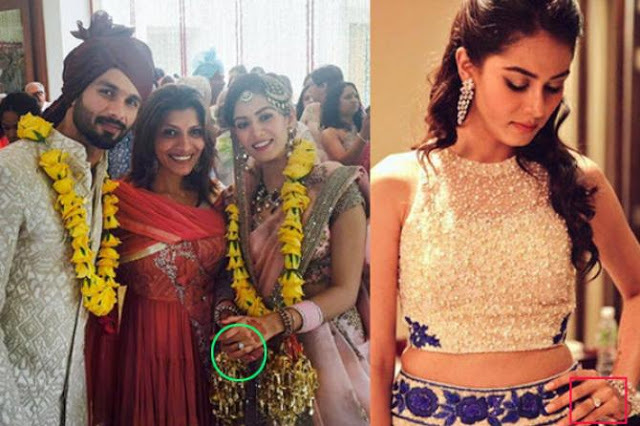 So, we have got you the best images of these actresses’ expensive engagement rings. Yes again! Her engagement ring! 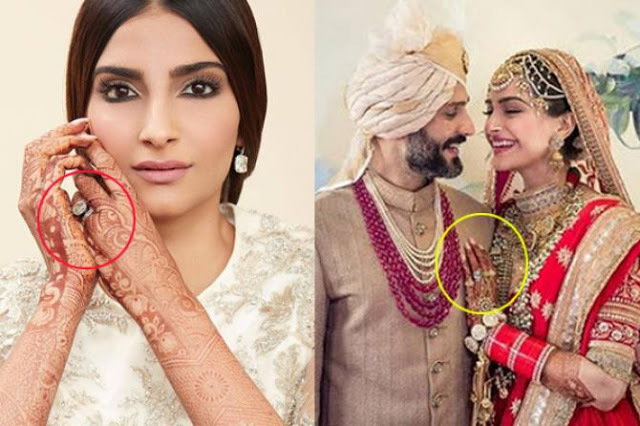 Her hubby, Anand S Ahuja, gifted a ring worth a whopping Rs 90 lakh to her. Phew! Go green with envy all of you! 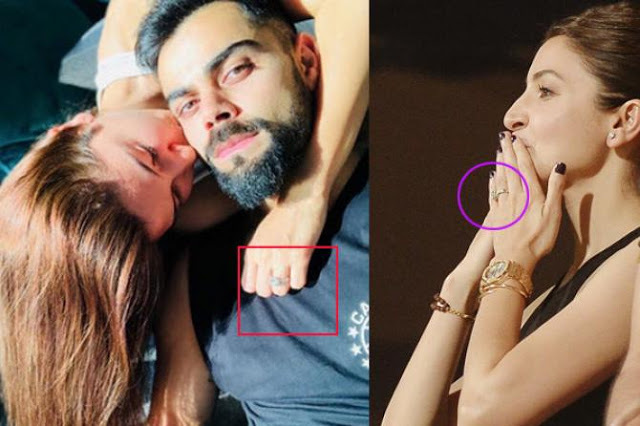 Anushka Sharma looked dreamy in everything she wore, what caught our fancy was the beautiful diamond ring given to her by hubby, Virat. Do you know how much her ring costs? A crore! The super-romantic Shahid Kapoor proposed to Mira with a stunning Nirav Modi solitaire ring worth Rs 23 lakhs! Wow! 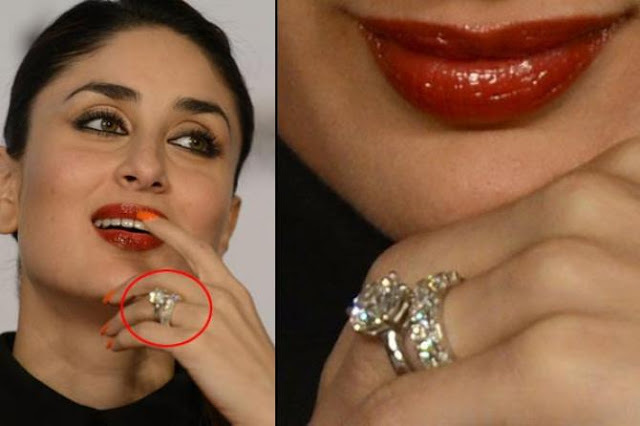 The actress was alsways found flaunting a huge diamond on her ring finger which weighed 13 carats! Hold your breath, guys! 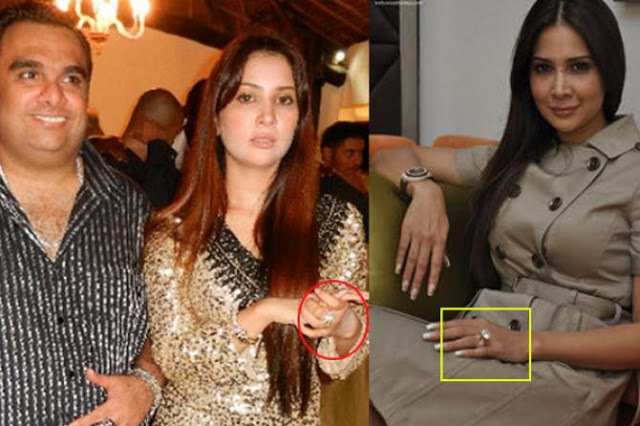 The ring that both Neha and Angad are sporting have been passed on from the last two generations. 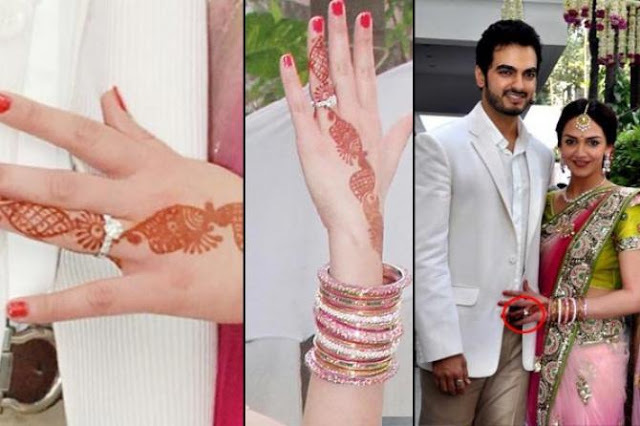 Neha and Angad is the third generation couple from their family who is wearing the rings. How cool is that! Bollywood actress Asin was seen sporting her engagement ring at Salman Khan’s birthday party. The ring's value is estimated to be Rs. 6 crore. 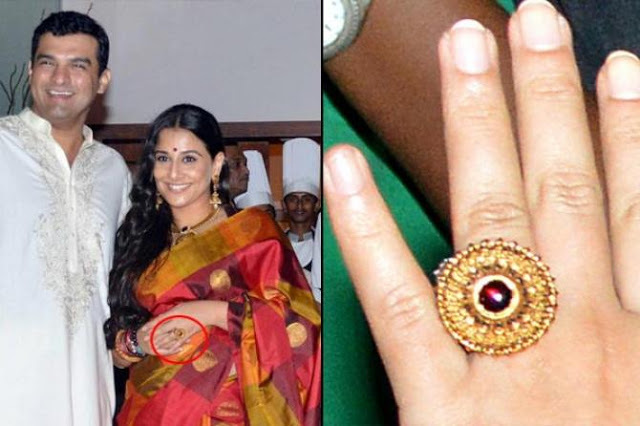 Abhishek gave his wife a 53-carat solitaire that almost blinded everyone. Nothing less for the former Miss World. Rani Mukerji and Aditya Chopra were never vocal about their relationship. They kept everything under wraps. 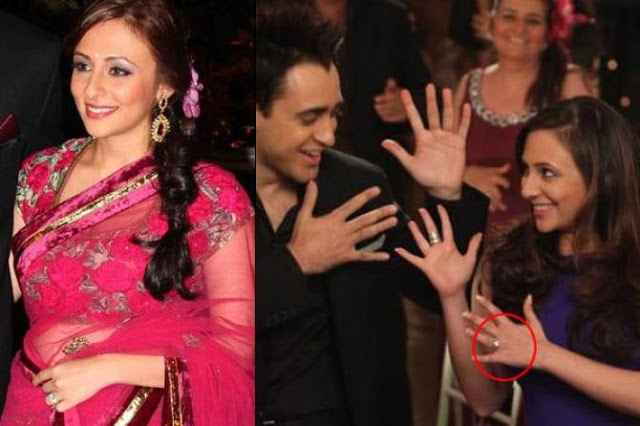 But, suddenly at an event, a big, shiny rock on Rani's finger said it all, although, she later tried to hide it. 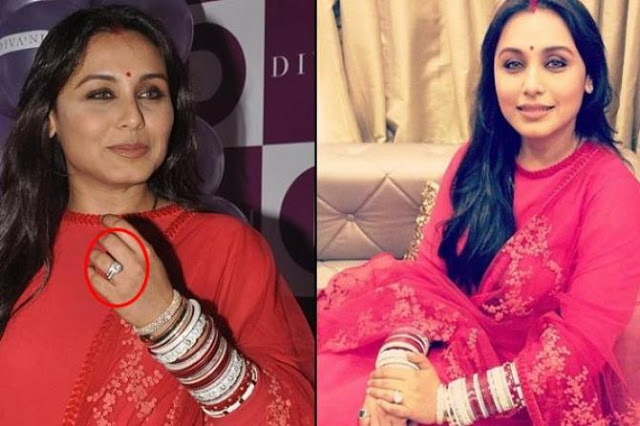 And, after her wedding, Rani Mukerji, beautifully flaunted the ring! When Kareena married the Chote Nawab, Saif Ali Khan, what came up was two of the most powerful surnames of Bollywood (Kapoor and Khan)! Not only this, what also followed suit was a huge 'stone' as well. A big solitaire in a platinum band, simple and stylish. Royalty at its best! 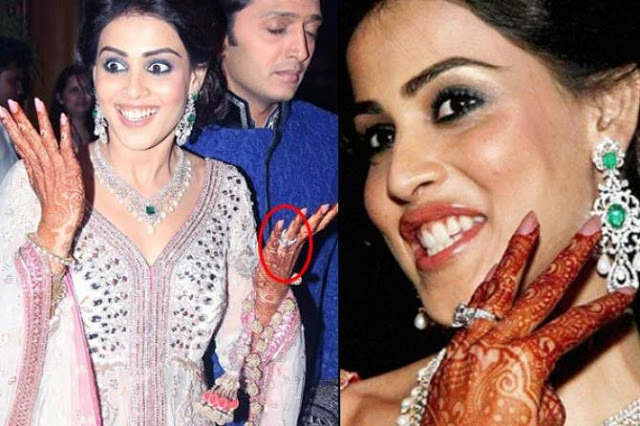 Genelia D’Souza and Riteish Deshmukh make the cutest couple in the Bollywood. Their courtship period of more than eight years, finally culminated into marriage, when Riteish proposed to his lady-love with a sparkler. And, Genelia never shies away from flashing it. Vidya Balan is an actress of substance. Keeping in mind her unique choices, husband Siddharth Roy Kapur, gave her an antique ring in pure gold. The ring has a ruby in the middle that just furthers its charm. 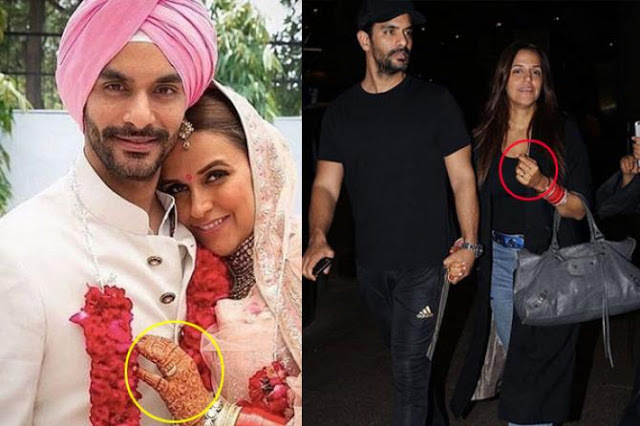 Esha Deol got engaged to her then boyfriend, Bharat Takhtani, with an eternity band. It had a solitaire in the middle and many little diamonds studded on the band. The best part, she got another sparkler on her wedding day! When Shilpa Shetty presented her wedding band to the public, many hearts skipped a beat. A 20-carat solitaire rumoured to be worth INR 3 crore. Woh! It is definitely a larger-than-life diamond. Mahesh Bhupathi proposed to Lara Dutta in New York, while the two were having a candle-lit dinner. As if this was not enough, her 4-carat engagement ring, designed by the man himself, made it easy for her to say yes! Imran sneaked inside Avantika's room, decorated it and then, went down on one knee to propose to her. He himself designed the ring for her as he wanted his fiancee to have something unique.